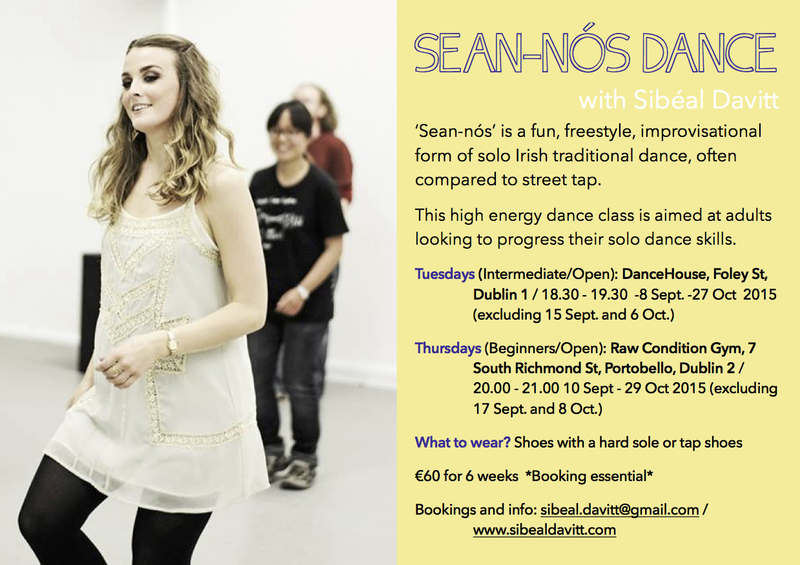 Join me for a series of sean-nós dance workshops in the heart of Dublin city next week on Tuesday 17 and Thursday 19 December 2013. Tuesday will kick off at 6pm with an hour-long intensive workshop for improvers. Participants must have prior experience and should be willing to dance solo. This workshop will cover more advanced reel steps as well as more complex rhythmic ornamentation. €10 admission. From 7.15pm – 8.30pm I’ll be going back to basics for a beginner’s workshop. 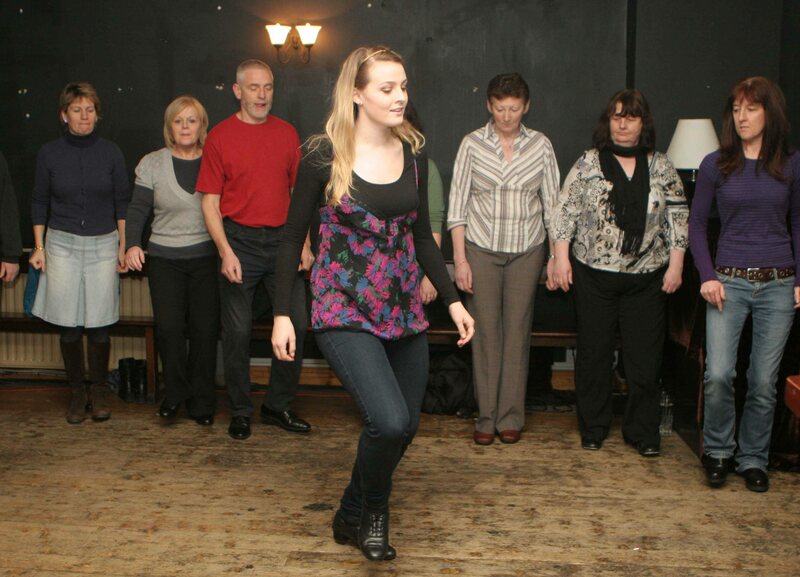 Starting with a short warm up to get the heart rate up, this workshop will a provide a basic lesson in traditional rhythm as well as a good physical workout – no prior experience necessary. €10 admission. Thursday’s workshops will take place at the same times. The material will follow on from the steps learned on Tuesday but complete beginners are welcome to the 7.15 session. There will be special rates for all 4 workshops. Although all workshops will be taught bilingually, participants are not required to speak Irish. Spaces are limited so make sure to reserve a place e-mailing sibeal.davitt@gmail.com. Please arrive 15 mins early to prepare for the class. Come and step up to the challenge before digging all the festive goodies and don’t forget the spread the word! 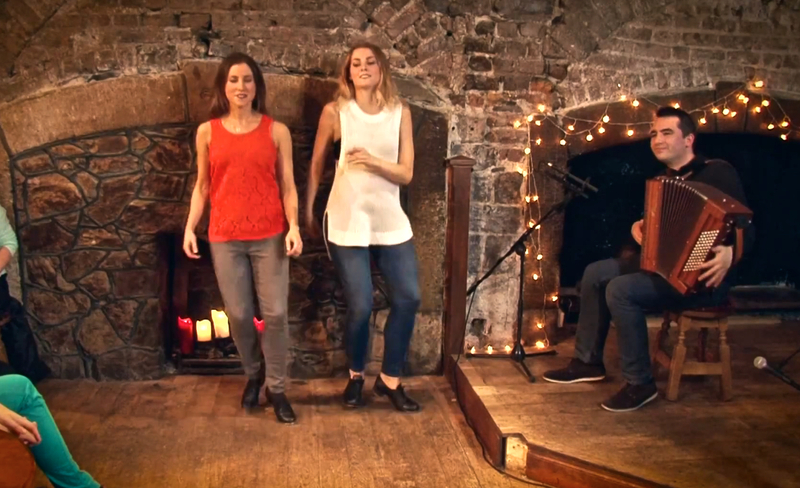 Beidh mé ag reáchtáil ceardlanna damhsa ar an sean-nós ag leibhéil eagsúla cumais an tseachtain seo chugainn ar an Máirt 17 Nollaig agus Déardaoin 19 Nollaig 2013. Ar an Máirt, cuirfear tús leis an oíche le ceardlann d’fheabhsóirí ag 6 – 7i.n. Ardrang aclaíochta a bheidh i gceist leis seo ina ndíreofar ar chéimeanna níos casta agus ar ornáidíocht rithime. Beifear ag súil go mbeadh na bunchéimeanna ar eolas ag na rannpháirtithe agus go mbeadh muinín acu iontu. Gearrfar €10 an duine don uair an chloig. Ag 7.15 – 8.30 beidh fáilte roimh ghlanthosaitheoirí teacht agus bunchéimeanna an tsean-nóis a fhoghlaim. Ní gá go mbeadh cur amach ag rannpháirtithe ar an sean-nós roimhe seo ach ba chóir go mbeadh siad toilteanach allas a chur! €10 an duine. Ar an Déardaoin leanfar ar aghaidh leis na céimeanna a múineadh ar an Máirt ach cuirfear fáilte roimh ghlanthosaitheoirí ag 7.15.